LAN and TAM have a current strategic plan to renew their premium spaces and provide a better travel experience for passengers. 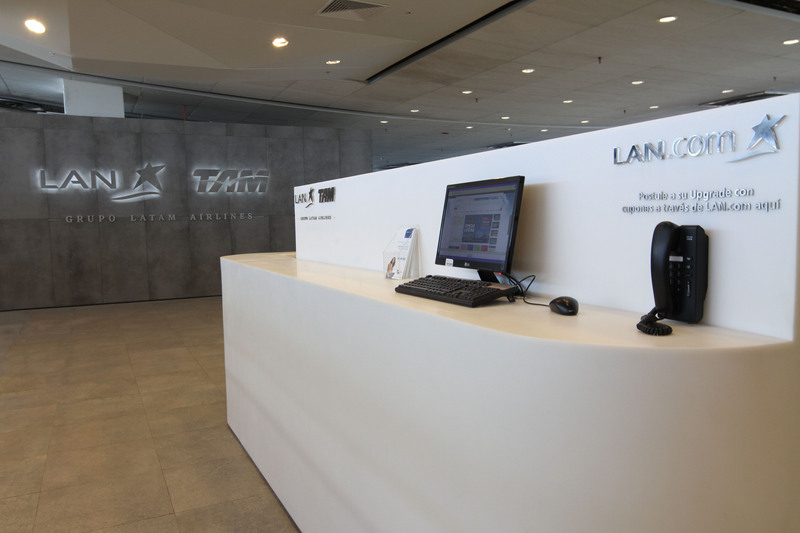 At the end of May, LAN and TAM inaugurated their new Preferential Check-in zone, located on the fourth floor on the west side of the International Airport in Santiago, Chile. The whole area features a fragmented and folded ceiling, and solid natural stone tiled walls which offers architectural interest into an otherwise, traditionally, tired space. 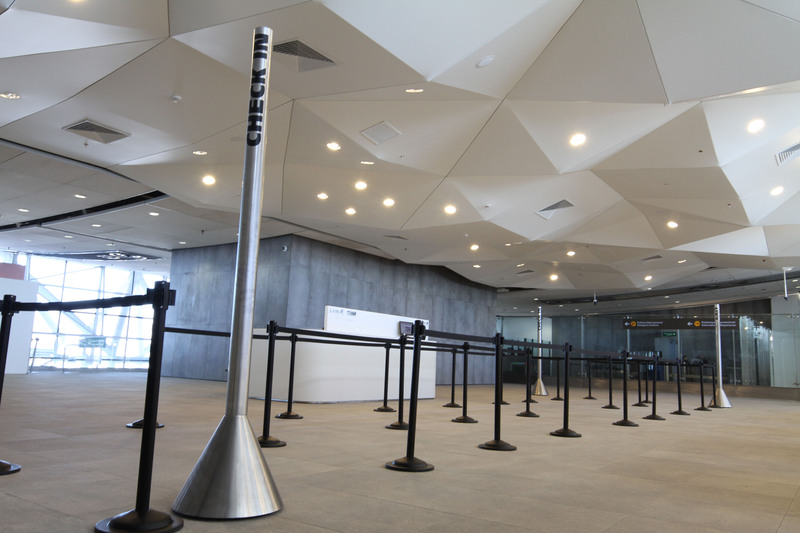 About 30 thousand passengers per month check in at the preferential counter, a demand that will increase to about 50,000 by 2020 due to the airline partnership’s growth plans. 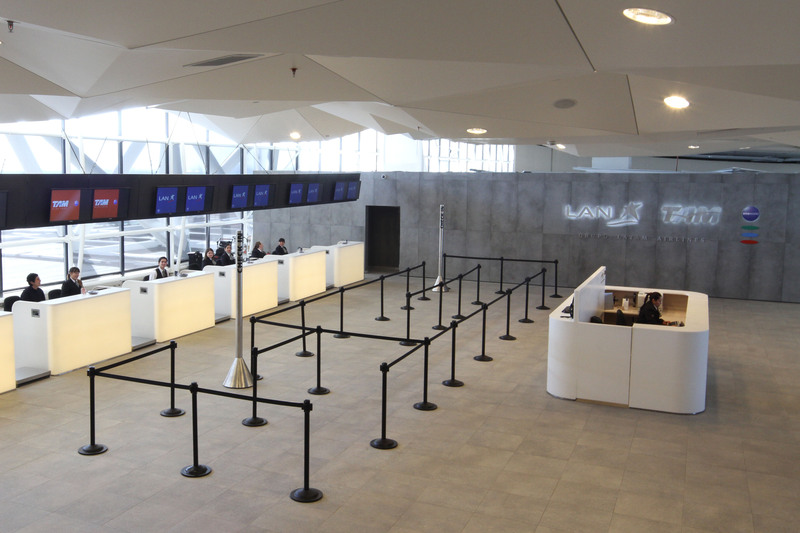 The new space of over 6,458 square feet in total, has 18 counters, kiosks for self check-in, direct access to gates and will connect to the new LAN and TAM VIP Lounge, which will be opened in the first half of 2015 and will be the largest in Latin America. The project design was led jointly by architects and designers of international prestige, such as Chilean Mathias Klotz, in addition to attention from architect Lillian Allen and a global view from the familiar Studio Putman, one of best design studios in the world, with its headquarters in Paris. “No failure was authorized to enhance the begining of this very particular moment which is a trip”, says Olivia Putman on the new space. This new preferential check-in and its amenities can be enjoyed by passengers traveling in First Class, Premium Business, Business and Premium Economy on LAN and TAM, as well as high category members of the LANPASS frequent flyer program (Comodoro Black, Comodoro, Premium Silver), and TAM Fidelidade (Black, Vermelho Plus, Vermelho), and the respective oneworld categories (Ruby, Emerald, Sapphire). The design team of Studio Putman, Mathias Klotz and Lilian Allen will be opening a new lounge in Sao Paulo in October 2014 for the LATAM group.